Following the June 15 massacre of dozens of people in a Christian-majority coastal village, Kenya’s religious leaders are urging the government to improve security in the country. “We acknowledge the anger and desperation of Kenyans arising from the spiralling insecurity and rising tension in the country,” said the Most Rev. Zacheus Okoth, archbishop of Kisumu and chairman of the Catholic Justice and Peace Commission. An estimated 50 gunmen stormed the village of Mpeketoni, about 40 kilometres inland from the Indian Ocean, around 8 p.m. on June 15, overwhelming police forces. Initial reports counted 45 dead, though aid worker Wim van den Burg told Dutch media he counted more than 100 bodies, according to Open Doors International, a global charity that provides assistance to Christians who live under pressure because of their faith. Open Doors reported that witnesses said the gunmen dragged victims out of their homes. Women and children were released, but men were asked if they were Muslim or Christian. Those who answered Christian were shot, Open Doors said. The heavily armed gunmen were reported to have attacked two hotels, a restaurant, a gasoline station, a bank, a police station, and a government office. 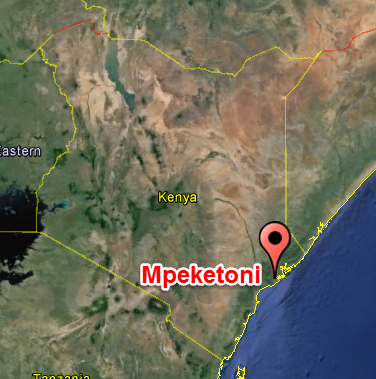 Mpeketoni is an area of churches “with about 100 different denominations,” Rt. Rev. Julius R.K. Kalu, the Anglican Bishop of Mombasa, told World Watch Monitor. He said the area’s population may have more Christians than those of other religions. Growing anxieties in nearby Poromoko village over fears of a similar attack have prompted some residents to leave. Sheikh Juma Ngao, National Chairman of the Kenya Muslims National Advisory Council, joined the condemnation of the killings in Mpeketoni. “People of Kenya should remain vigilant, reporting on anything suspicious. Let us not be divided on religious tunes. It is only Kenyans who can bring peace in the country,” Ngao told World Watch Monitor. Reports have circulated assigning responsibility for the killings to Al-Shabaab, a Somalia-based militant Islamist terrorist group. Those claims gained currency shortly after the cabinet secretary in the government of President Uhuru Kenyatta hinted the attacks might have had a political motive. Kenyatta, however, downplayed any Al-Shabaab connection in a national address. If the attack on Mpeketoni was home-grown terrorism, the response should not be, Anglican Bishop Kalu said. In his speech, President Kenyatta acknowledged security officers in the area had received reports of the possible attacks but did not take preventive action. The officers in charge of security have been suspended and will be charged, he said. Several western countries, including the United States and United Kingdom, have issued travel advisories warning citizens not to visit the coastal region.